AAPS physicians are kicking big government and government-controlled insurance companies out of their offices and are leading the Way Back to FREEDOM in Medicine. The result? Both Doctors and Patients are happier! 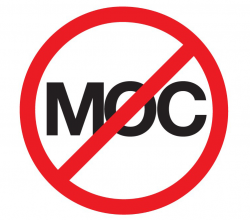 Be sure to scroll down past the videos to see a list of more resources helpful to physicians looking to reduce or eliminate third-party interference in their practice. Plan Your Escape Now: Jane Hughes, MD on Medicare Non-Par and Trevor Woodhams, MD on Medicare disenrolled status. September 2016. Lessons from the Epicenter of Price Transparency: Keith Smith, MD; Chris Paskowski, MD; Jay Kempton. September 2016. 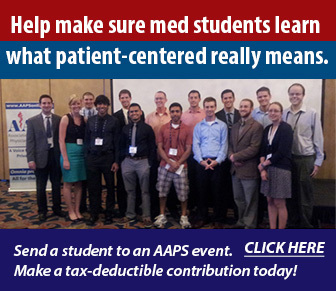 Click Here for a list of physicians and practices that are completely third-party free. For a list of cash friendly practices see: https://aaps.wufoo.com/reports/m5p6z0/. When the patient pays directly, the patient and doctor decide on the appropriate treatment NOT the government or big-insurance company. 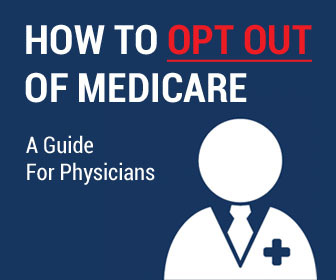 CLICK HERE to locate a list of physicians opted-out of Medicare in your state. If you are eligible for Medicare you may be finding it difficult to get an appointment. 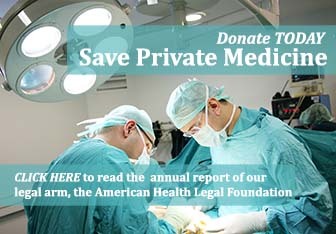 Opted-out doctors are able to work for Medicare patients outside of the restrictions set by the government. Thus they can more promptly and thoroughly attend to your medical needs. The Physicians Declaration of Independence – July 4, 2004, updated April 2009 – Written by Richard Amerling, M.D.